Palmer Property Group is a commercial real estate firm headquartered in Miami, Florida. We specialize in Tenant Representation and Investment Sales, and provide brokerage and advisory services to users and owners of real estate. Palmer Property Group handles commercial leases and build-outs, commercial sales and purchases, with personalized services. Palmer Property Group is dedicated to evaluating the needs of each client and finding them the property that is ideal for them. 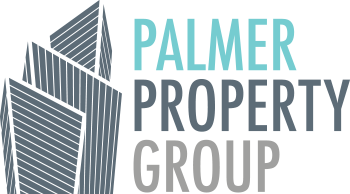 Palmer Property Group partners with you throughout your home or condominium search, providing our expertise and deep knowledge of the Miami and South Florida real estate market to help you find a residential property that is perfect for you. By partnering with us through the entire process, you gain our knowledge, insight, and negotiation capabilities. Palmer Property Group makes the process of buying, selling, or renting a home or condominium as easy as possible. Whether for personal use or investment purposes, we will assist you every step of the way. Palmer Property Group’s dedication to commercial real estate has earned us the trust of tenants, landlords, buyers, and sellers. We have established our firm as the premier commercial real estate company for leasing or selling commercial property throughout South Florida. Whether you are an individual or institutional investor or owner, Palmer Property Group provides advisory services to clients engaged in leasing, buying, selling, investing, or developing real estate. Palmer Property Group handles office, retail, industrial, multi-family, and hospitality assets ranging from single-tenant net leased properties to multi-tenant properties. Palmer Property Group assists you through the entire lease negotiation process. We handle office, retail, and industrial lease negotiations, as well as site tours and selection. Whether a tenant is looking to renew their lease, relocate, renegotiate, sublease, consolidate, or downsize, we get to know the tenant’s business, their corporate culture, and their specific objectives and needs. Our goal is to understand the driving forces for your business in order to provide you the optimal work setting or retail environment for your brand. Palmer Property Group provides real estate solutions that are efficient, economical, and flexible through our superior negotiating capabilities, leveraging market knowledge, and building strong relationships with landlords. We strive to achieve the best financial results on occupancy costs while assisting you to meet your operational business objectives. Business ownership can be extremely rewarding, but also can present some risks and challenges. Palmer Property Group handles the real estate component of your business, from identifying space to negotiating the entire transaction. This allows you to focus on corporate culture, growth, management, and profits. Palmer Property Group handles investment sales and property acquisition and disposition for all investment types including office buildings, retail shopping centers, hospitality, multi-family, and industrial assets. We have built strong relationships, both locally and nationally, with an extensive list of clients comprised of private investors, brokers, lending institutions, developers, and institutional investors. We offer professional advisory, negotiation, and marketing services, to ensure maximum value is created for our clients in every transaction. We inspire confidence by attracting a large pool of qualified buyers and focus on finding a good match between buyers and sellers, and between tenants and landlords We make a point to ensure potential buyers are aligned with our sellers’ pre-requisites prior to originating negotiations. We understand the transactional goals of our clients and are able to provide purchasers who are ready, willing, and able to engage in a sale of your property. For buyers, Palmer Property group brings opportunities to you. We have years of investment experience and a strong network to locate properties with true upside potential. We are proactive, and seek properties with marketable appeal.